New image gallery showing images captured during the Mars Rover Spirit rollout from Jan 13-16, 2004. One of Boeing's concepts for NASA's new Orbital Space Plane. The spacecraft could be used as a crew rescue or transfer vehicle. Get a closer look at our ringed neighbor with this new gallery! 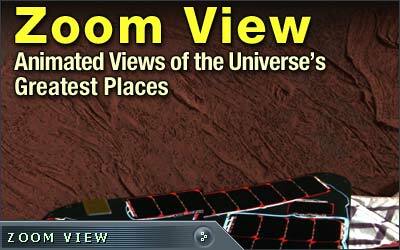 Test your knowledge of a variety of space topics -- answer 5 new questions each day!